After hashtag campaigns, email campaigns, and simply spreading the word of Lot No 40 Cask Strength, it’s finally here. I’ll admit to having been nervous about tasting this one. Drinking whisky out of the cask is a treat impossible to bottle. It’s like having oysters shucked right out of the ocean, or salmon lightly fried hours after being caught. Drinking whisky out of the barrel is the best of experiences. Few producers sell actual whisky this way. It’s filtered, especially for char sediment (because there’s plenty), and typically blended within a batch of barrels for flavour consistency. So how does this bottled version measure-up to what I had last year? 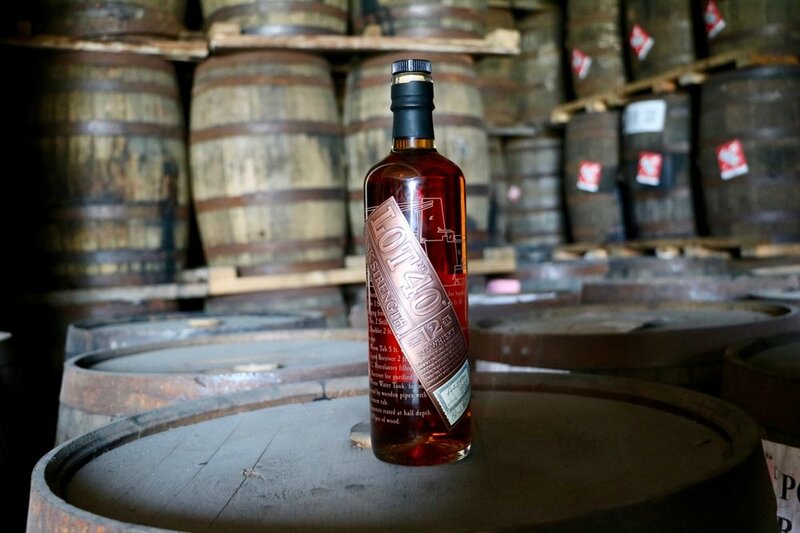 Lot No 40 Cask Strength is released as part of the Northern Border Collection. Bottled at 55% ABV, it’s significantly higher proofed than the 43% ABV of regular Lot No 40. Aged for twelve years in brand new White Oak barrels, it’s also a handful of years older than the regular Lot No 40. Like Lot No 40, it’s made from 100% rye grain, distilled first in a short column still, and pot distilled the second time. It went into the barrels at 58% ABV, and water was added to the barrels when the summers were especially humid. It’s 55% ABV is the final barrel strength of this release. Taking Canada’s most award winning whisky, and releasing it at cask strength, is a great idea. Making it a part of a greater release of rare Canadian whiskies is pure brilliance. This is the most highly anticipated whisky among whisky enthusiasts. If you love Lot No 40, or cask strength whiskies, you’ll 😍 the cask strength release. Nose: An unmistakeable beautiful Lot 40 Rye bouquet of floral perfume is predominant, but there's so much more, with greater intensity. Fresh caramel notes are obvious, with blood orange freshly squeezed coming through next. There's hints of liquorice, or some herby black tea medley. It's fresh, vibrant, unmistakable Lot No 40 and yet so much more, inspiring a first sip. Palate: Caramel, spice, and everything nice. The cask strength version of Lot No 40 introduce subtle flavours not as apparent in the regular release. Licorice is stronger. There’s anise. Freshly squeezed blood oranges. A touch of boozy cherries. Beautiful mouth-watering buttery notes. The peppery spice is intense. It’s an intensely fast ride, but with the precaution of a helmet and seatbelts. The highest anticipated Canadian whisky doesn’t disappoint. It’s the purest expression of Canadian rye from Hiram-Walker distillery that’s available today, and one that’s worth chasing.